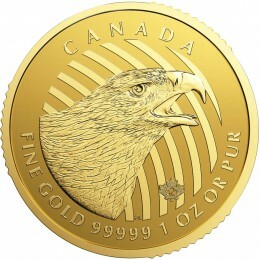 The “Peregrine Falcon” is the first of four Special Edition “Bird of Prey” coins to be offered from the Royal Canadian Mint – likely over a period of two years. 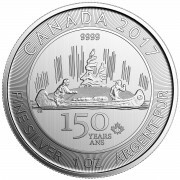 In each case, we expect exactly one million coins to be issued – compared to the 18-25 million generic silver Maple Leaf coins sold in each of the past four years. There is no way of knowing what these beautiful coins will ultimately sell for. However, below is a table of what the six “Wildlife Series” coins – issued in 2011-13 – currently sell for. As you can see, each of the six coins from the previous “Wildlife Series” trades at a significant premium to generic silver Maple Leafs; and if there’s one thing we “pound the table” on, it’s special edition and/or numismatic coins trading at or near the “melt value” of generic coins. 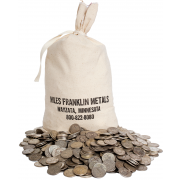 Look for a special offer from Miles Franklin soon; as like the previous six coins, they will likely sell out quickly. I wish I could have gotten my hands on those gosh darn wolves when I had a chance! I just have a lot of Wood Bison’s, and a small amount of Antelopes. The beauty of these series’ is you can get them when they come out at essentially the same price as generics, with the high likelihood of a nice premium in the future. Will the Bison’s – or Falcon’s – ever trade like the Wolves though? I have no idea. I bought five each of the last wildlife series coins – a great investment! I got a tube of the wolves when they came out, sold all by my own personal set for 2x spot on ebay, flipped into generics. First in the series will always (I dont know about always, but SBSS and potentially Zombucks look good) carry the highest premium. Key is to flip into generics, otherwise you aren’t taking advantage of the premium (usually on downswings). Just my short experience. Sounds like a smart trade to me. 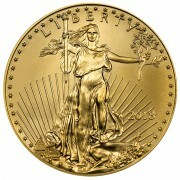 We are always buyers of “numismatics” near melt value, and nearly always sellers when the premiums get crazy.